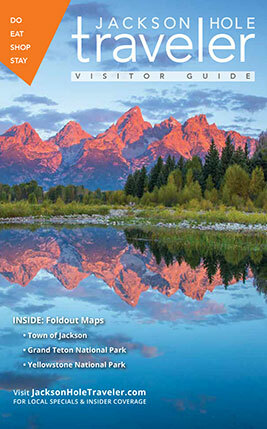 Get a taste of the Tetons during your visit to Jackson Hole. Here’s a guide to the best locally made food and fare. Jackson Hole is rich in locally made food and drink. Our community may be small but it prides itself on providing area markets and restaurants with plenty of organically sourced meats, fresh vegetables and dairy products from the farms and ranches that dot the valley. The result is a foodie's delight! There are also plenty of opportunities to munch on made-only-in-Jackson-Hole goodies, ranging from candied bacon and artisan chocolates to energy bars and craft sausages. And the bonus? You can take most of these back home with you—or order them online. Meat that comes from one of our local cattle ranches or butchers can be found on the menus of eateries throughout Teton Valley. Stop by one of the butchers or markets, too, such as Sweet Cheeks Meats, to purchase a local farm-to-table beef product. Mead Ranch, Lockhart Cattle Company, Jackson Hole Buffalo Meat Company, Jackson Hole Hereford Ranch, Purely By Chance and Robinson Family Farm and Ranch are some of the names to remember. Bovine + Swine (craft sausages and specialty meats) and Cream + Sugar artisan ice cream are Teton treats made by Fine Dining Restaurant Group that can be found at Bodega in Teton Village and Bin22 in town. Nom Nom Donuts and Delish Donuts have provided us with a donut dilemma here: We can’t decide which made-from-scratch donuts we love more! Nom Noms are available at Creekside Market and Jackson Whole Grocer. Delish Donuts are also sold at Jackson Whole Grocer. Café Genevieve’s Pig Candy. Your taste buds won’t know what hit them when you try this otherworldly concoction of sugar-coated bacon goodness. The Bunnery’s O.S.M. Granola. Pick up a bag or two of the eatery’s trademarked O.S.M. (Oats, Sunflower seeds, Millet) granola, pancake and waffle mix or oatmeal. Vertical Harvest is a three-story hydroponic farm located in downtown Jackson. The greenhouse grows fresh produce year-round, allowing local restaurants and grocery stores to offer the fruits of its bounty to customers. Visit Vertical Harvest’s retail store for locally sourced food and artisanal products. Keep an eye out for Huidekoper Ranch produce on the menus of many restaurants around Jackson Hole. Huidekoper is a small-scale, bio-intensive farm in Wilson growing healthy food for the community. See what all the buzz is about at Jackson Hole Roasters, 50 W. Broadway, where the coffee is made in small batches from beans originating worldwide. Snake River Roasting also has handcrafted coffee available at Persephone and Picnic cafés. It is sold at Jackson Whole Grocer and Lucky’s Market as well as at snakeriverroastingco.com. Persephone Bakery is the home of artisanal, rustic breads and pastries, created using the highest quality ingredients and traditional processes. You have to try their cinnamon brioche—it makes for a decadent breakfast treat or an amazing midday snack. Picnic Coffee & Café stocks locals’ favorite pastries, handmade by Persephone, as well as its own versions of American classics like Pop-Tarts and whoopie pies. Located at 145 E Broadway (Persephone) and 1110 Maple Way (Picnic). During summer, explore the variety of fresh produce available at the Jackson Hole Farmers Market on the Town Square every Saturday morning, or the Jackson Hole People's Market from 4 to 7 p.m. Wednesdays at the base of Snow King. Jackson Hole goes huckleberry happy in late summer every year when residents scurry to their secret spots to pick these tart cousins to the wild blueberry. Long after the harvesting ends huckleberries can be found on menus and in food items throughout the year. Dubbed “Purple Gold” by old-timers, according to Jackson Hole food writer Annie Fenn, they make great jam, pies, tarts and especially milkshakes. Morel Mushrooms also have their own “hunting season” here. For just a few fleeting weeks in May, Jacksonites forage for these tasty morsels in the forests and near water. Many of the fungi then find their way onto menus in restaurants such as the Snake River Grill, Rendezvous Bistro and Il Villaggio Osteria.